We are a 501(c)(3) nonprofit organization that was formed for the purpose of significantly helping to solve a major social problem dealing with the lack of financial awareness and financial literacy. The Foundation serves as a nonpolitical “financial awareness advocate” for the general public, the financial services and nonprofit professionals, and their organizations, educational institutions, employers and municipalities. Advance their philanthropy and legacy plans. The strategy is to touch the majority of the general public, financial service and nonprofit professionals and their organizations at least twice a year through these strategic campaign venues, with educational and motivating reminders to get and keep their financial, estate, and gift plans in order. 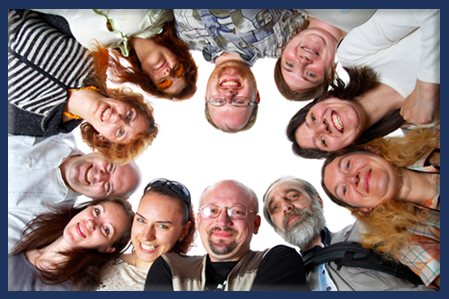 The Foundation further delivers and develops exceptional educational content for the public and to professionals, nonprofits, and educational institutions that support the public’s financial, estate and gift planning needs. Below you can download a free set of Personal Finance Publications designed to empower you to know more about your money and help you make better everyday informed financial decisions! 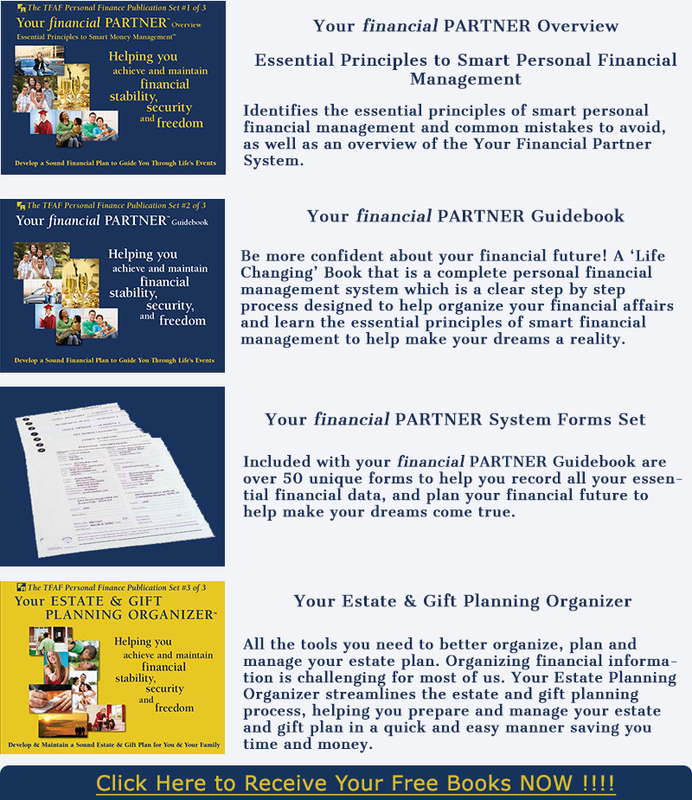 These publications are designed to provide the reader with the essential principles of smart personal financial management along with powerful tools to address every day money decisions in a more informed manner. Thus giving the reader the best possibility to achieve and maintain their personal financial freedom, security, while advancing their personal philanthropy. These publications also make an excellent tool for financial service and nonprofit professionals to use with clients, prospects, donors and employees. In support of improving financial awareness and financial literacy the Monterey Public Library Endowment Committee and the Friends of the Library in partnership with The Financial Awareness Foundation presented A Special Gift to the Greater Monterey Bay Area Community - Building Blocks to Successful Financial & Estate Planning Presentation Series. Click here to visit their website where you can view the videos of these presentations and download the supporting materials. Together we have the potential to help solve a major social challenge by advancing and contributing to one of the most amazing, broad-based, multifaceted movements & campaigns for improving financial awareness and financial literacy. To learn more about us and the improving financial awareness and financial literacy movement, campaigns, programs and efforts, and ‘how you can make a meaningful difference’ visit the rest of our website, our discussion group on LinkedIn, or contact me directly.